Every parent in India is worried and confused about choosing a course for their children after 10+2. Many parents dream to see their children become a doctor or an engineer. They become desperate if this dream of theirs is not fulfilled. But there are other better options other than these. The children should be allowed to make the choice of their education. A graduation degree in any field, be it engineering or medicine or any other, is not the ultimate goal of life. It is only a means to reach there. There are a lot of unemployed engineers or doctors today because they just chose what someone else wanted them to be. Everyone should give their goal a thought and accordingly choose the education stream after PUC. For most of the high level career in India in banking, insurance, railway, defense and civil services graduation is the minimum requirement. A BA graduate can become an IAS officer if he/she has determination, skill and capabilities. Communication skills, positive leadership qualities, literacy in computer are the other basic requirements. These are the popular courses for Arts, Commerce and Science students after 10+2. 1.Law : Law is one of the important profession in the world. National Law School of India University, Bangalore and other 14 similar institutes in India produce best law graduates in the world. They are selected on the basis of CLAT( Common Law Admission test) after +2. There are other law colleges affiliated to Universities or Law University where one do theis bachelors and masters in Law. Later they can also write judiciary exam and become judges. Lawyers and judges become part of judiciary which is the pillar of democracy which controls today even the legislature and executive power. 2.Buisness Management, Hotel Management and Hospitality Management and Tourism : Hotel industry, Tourism industry require a lot of manpower and therefore there is a lot of scope in this field. This is a three and a half year course with good practical knowledge. But one should be careful in choosing the institution in which to study as today some institutions are using education as a bait to make money. Choose the course through the entrance exam National Council for Hotel Management or a institution attached to a very good five star Hotel attached. 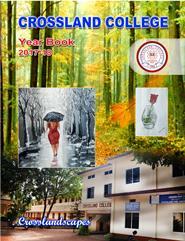 Many colleges in Karnataka have degree courses in Tourism. Most of the colleges have BBM course. 3.Merchant Navy : If anyone is interested to travel world over through sea then merchant Navy provides good opportunity. Shipping corporation of India ( Mumbai) and many other private players in Goa, Cochin, Madras are providing education in this field. 4.Journalism and Mass communication : Today mass media including print media is expanding in exponential rate and lot of man power with skills and creativity is required. There are institutions like Manipal Institue of Mass communication and colleges offer mass communication degree courses. It is a good option for the students with language skills, communication and artistic skills. (ii) Integrated M S programme: Indian Institute of Science Bangalore, Jawaharlal Nehru Centre for advanced scientific Research Bangalore, Indian Institute of Astro-physics Bangalore conducts such programmes,. This five years course and students can choose job or Research in reputed institutions. Selection is through selection exam. This course is to attract manpower to the reputed Science Research Institutes. i)B.A.S.L.P. :(Bachelor in Audiology & Speech LanguagePathology) - 4 years including 1 year Internship Science or equivalent. iv)B.Sc. Radiotherapy - 3½ years including 6 months Internship. 3.Nursing : B Sc nursing followed by MSc M Phil and PH D in nursing courses are available in our medical Colleges. Eligibility is PCB in PUC. 5.Agriculture : The students with P C B combinations are admitted to the following courses through CET.In all these course further lead to MSc, Ph D and research. 6.Veternary Science : Even though it is a very old discipline now there is renewed interest because of lot of job opportunities and life style of people who want to live with pets. Students with PCB are eligible to this and admission is through CET. B V Sc degree holders also designated as doctors. 7.BSC : B Sc is versatile course leading to M Sc in Photonics, M Sc In Nano Science, M Sc in Bio Physics, M SC in Bio Informatics etc. M Sc in Chemistry( Industrial chemistry, bio chemistry, Applied Chemistry), MCA, PhD in Astronomy, Astrophysics, Space science, Nanotechnology , Nuclear Energy, Material Science etc. B Sc students also can join for engineering as lateral entry( directly to third sem). A lot of scholarships are also available from the govt to encourage basic science in Physics, chemistry, maths , botony and Zoology. 10.NDA : Highest level defence personnel are selected through NDA exam after 10+2 science. They will be trained given BSc degree of JNU Delhi and trained and inducted into Air Force or Air wing of Navy. 11.Pilot : Science graduates are admitted to Indira Gandhi Udan Institute where they will be given commercial pilot license. 12.BCA : Bachelor of computer application and they can join lateral entry for MCA in some institute like Manipal University. General feeling is Arts is meant for slow learners only.But Arts is the backbone of the society. It provides teachers, lawyers, literary people, artists, Psychologists, Economists, Journalists, Mass communicators, Social workers and social scientists, government officials to the society. Now there are variety of combinations for study in BA. B A with one of the following subjects will help to employment easily. 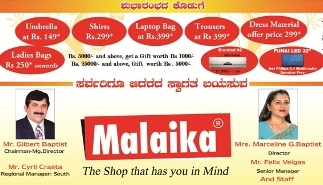 B A : Journalism, Mass communication, Psychology, Counseling, Human Resource Development, Fine arts, Literature( English, Kannada, Hindi), Tourism, Computer Applications, Geology, Geography, Human Right, International Relation, Labour & Social Welfare, Corporate Mag, Corporator Secretary, Criminology & Forensic Science, Music, Military Science. Museology, Clinical Psychology. Applied Psychology Public Administration, Public Relation, Rural Development, Visual Art, Women Studies. Now in the globalised world ,where everything is commercialized, commerce and acountancy plays a major role hence there are lot of opportunities in this sector. Small businesses to corporate world require specialized people in finance and accounts. But in this field opportunities for higher education and research are limited. B Com and BBM are the courses commerce the students can opt for after 10+2. Charted Accountant,Cost Accountants and company secretary are the prestigious and much demanded course which can be after PUC. But these courses are regular academic courses so can be pursued along with B Com or after B Com. Eventhough these courses are natural courses for commerce students, science students are also eligible to these. The students who want to be qualified as C A, Mathematics in PUC will help. Computer knowledge is also desirable. After the completion of the exam, they have to work as an article with a C A. It must also be remembered that pass percentage in All India level is less than 10%. At the post graduation level there are many specialized courses in finance, insurance, finance management, management ( MBA). Now a days demand to BBM is declining. Hii am Yashwanth and i complicated my SSLC and...... And i have not complicated my PU because i washed out with 2 subject.... And iam choosing for interior designing... Is that cource is correct for me?? What are the good courses after second pu (pcme) either than engineering for girls in electronics field?? Without CET?? I completed my 12th in 75presentage iam science student iam not write cet exam which course is best please guide me. Can u please give me information about NATA....about b.arch..and m.arch..!!! I am write supplementary exm in science. Finally I was completed my 2nd puc. What next sir? Sir i have completed my 2nd Pu science pcmb with 61%. I get confused. Please suggest me the best course of have to take. Sir I am scored 65percentage in 2nd pucscience but I don't know which is best course plz tell me sir. I completed Pu vth 76 percent,,I hv choosen bca plzz suggest me whether it iz gud or not. Idk what to do....but the thing is I want to achieve in my life..... Idk is that engineering is best choice?? My younger brother is average student and passed 10+2 in 2017. Now he is confused to choose his career path. He asked me what's kind of courses would be benificial for a secure future so. Plz can advised me. He is little bit interested in sketch and art. I liked your analysis, but when it comes to making decision as a parent we do not have that decision making power in our Hand, Now a days children only decide what they want to do before coming out from the Collage and say Let the result come and then we will take a call? Hi, i have completed 12th in arts. i want to study in Agriculture stream.. are there any courses such. please tell.. if not are there any competitive exams through which i can a good job in Karnataka area. Sir please suggest me to choise the better coarse after pu pcmb but i m not intrested in engeneer. I have completed my 10th with 48%. And now I m failed in 2 subject in puc (pcmb)...I dono which course to do next but I don't want to do dipolomo. Is cet ranking is required for Bsc fashion designing? I am interested in fashion designing, is cet ranking is required for Bsc fashion designing??? I dont know wat to study after puc? can i join mba directly after 2nd puc pcmb?? I'm doing my 2 pu science (PCMB) ...and I ll be facing the upcoming exam.. But I'm highly interested in commerce...business ...management courses... So what should I opt after 2nd pu...please help me out! I have completed my 2nd puc .I am interstellar in paramedical field .so which is best course can you suggest me sir. I'm study in 2nd PUC I was interest in genetics,bsc agri,&biotechnology.. Next what I will do???? What combination I have to choose to take up b.tec in space technology? im studying in puc2science&im average student(70-75%) after compliting puc which cource will better for me.i want good cource which is give good result and good job.